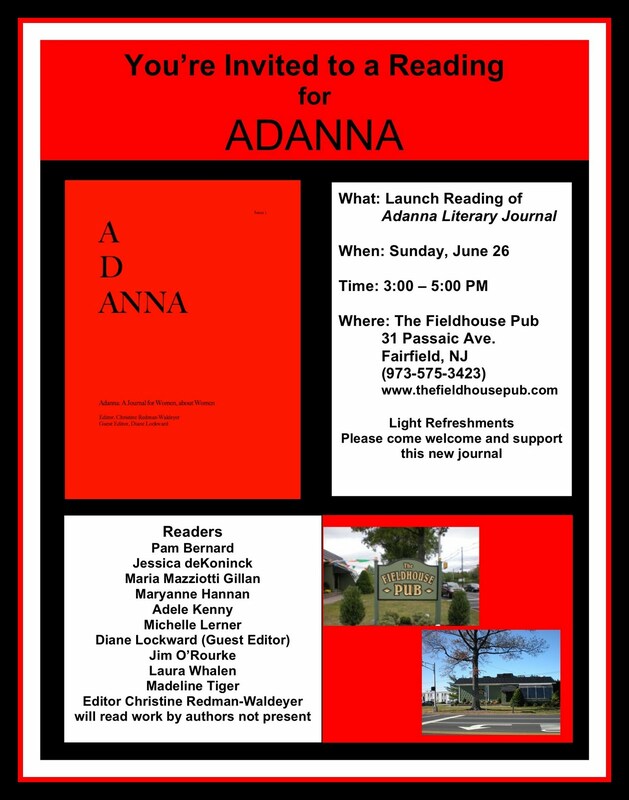 The launch reading for Adanna was held this past Sunday, June 26, at The Fieldhouse Pub in Fairfield, NJ. Although the contributors for the first issue cover the globe, we were able to get 11 of them to participate in the reading and celebration. Pam Bernard came all the way from New Hampshire while Maryanne Hannon and Laura Whalen came from NY State. 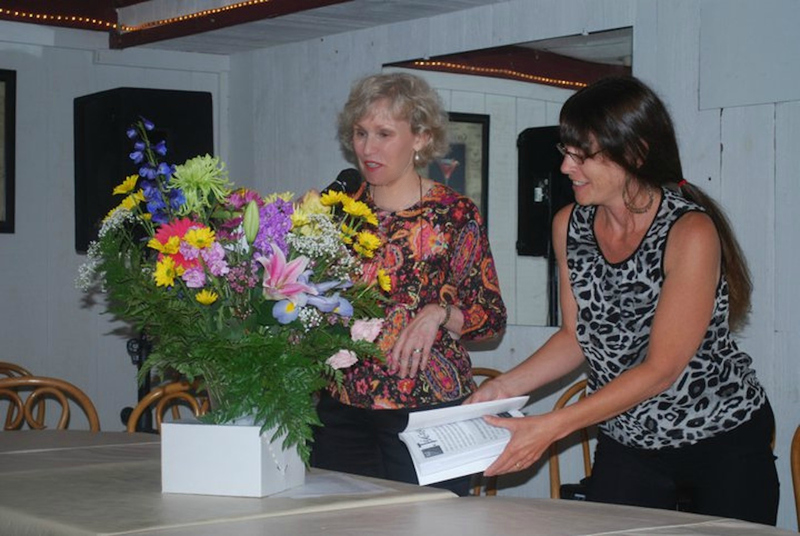 Editor Christine Redman-Waldeyer and I, the Guest Editor, sent out tons of invitations. Then we hoped hard that we'd get a good turnout. And we did! The turnout was wonderful. People just kept coming. Christine brought fruit and crackers and cheese. The journals were given to the poets and sold to audience members. The support was fantastic as was the whole event. Each poet read his or her poem from the journal and then one other of choice. 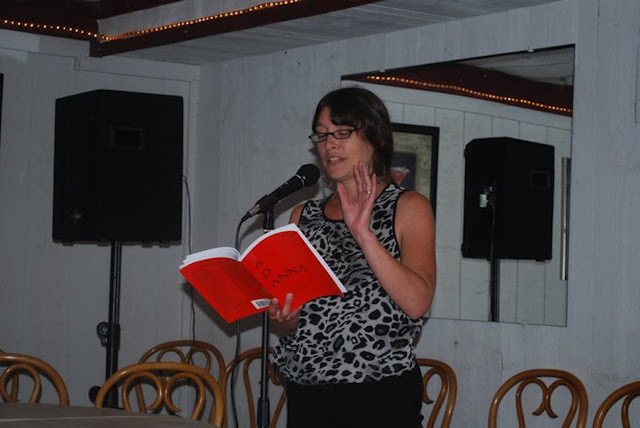 Christine closed the reading with a few poems by contributors who could not join us and with an excerpt from an amazing short story by Colleen Harris. Throughout the reading there were lovely sighs of approval and pleasure as well as thunderous applause. 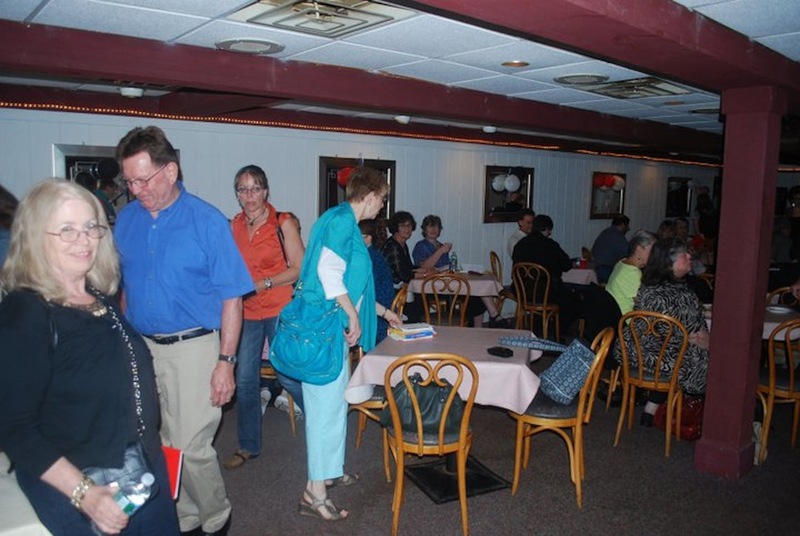 Then we spent some time socializing and finished the day with 14 of us going upstairs for dinner together. A perfect way to end a great day. Serving as Guest Editor for this first issue was a complete pleasure. I learned a lot from the experience and am hugely proud of the work we selected for the issue. 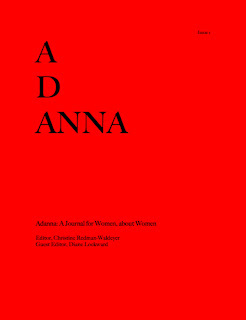 I hope that Adanna has much success in the future. 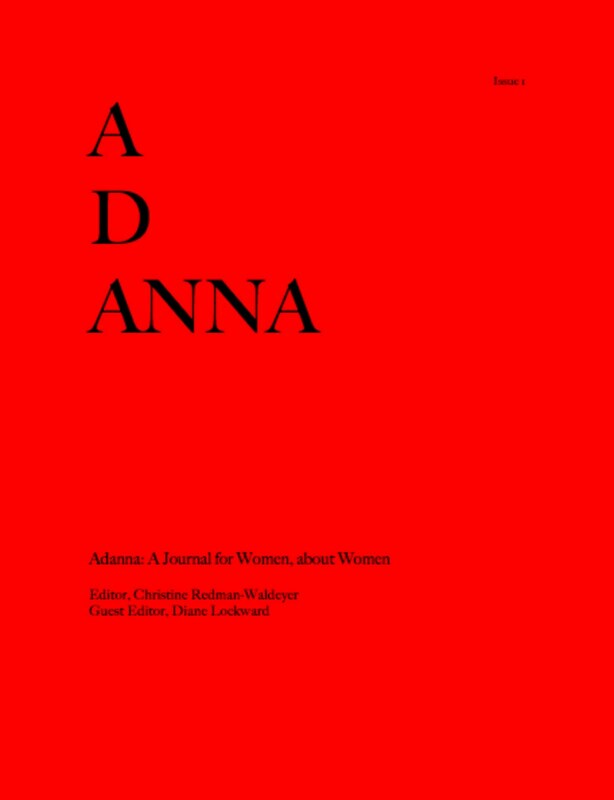 I salute Christine for having the courage and determination to create a new print journal and for focusing on women while still extending a warm welcome to male contributors. Be sure to check the Adanna website for information about the love poem contest. And while you're there, be sure to order the journal if you haven't already. I previously wrote about the festival I've run for the past eight years, an event which pays tribute to the journals which publish our work and make it possible for us to have readers. 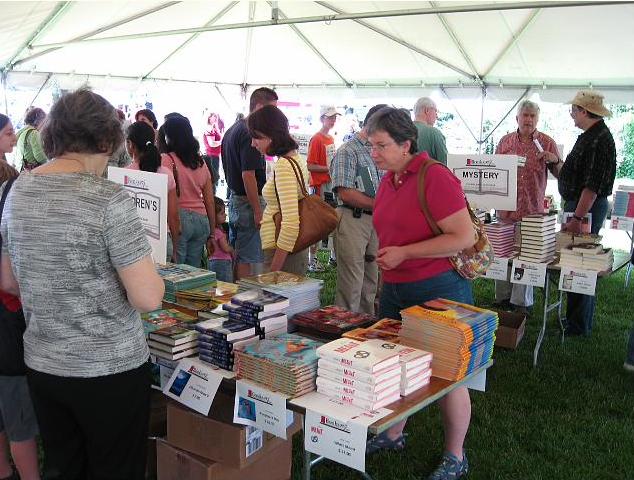 This year's event was held on Sunday, May 15. One of the more than 200 visitors was Michelle Caprario, a journalist for Splash Magazines. She has now written an article about the festival. Read it HERE. Then sit back and watch the video. It should give you a good idea of the day. Each of the 12 editors is shown, followed by the two poets who represented the journal. All shown in the order of appearance. If you're in or near New Jersey on Sunday, June 26, please join us! This past Friday night I participated in the launch reading for The Stillwater Review, a new print poetry journal from Sussex County Community College in Newton, NJ. The reading was held in a lovely venue, The Atrium of the new Performing Arts Center. I went up a double-wide flight of stairs into a large room. The front of the room was all windows, ceiling to floor. Outside the windows were beautiful old trees and a lake. That served as the background for the readers. After the reading we enjoyed fresh fruit and crackers and cheese. Take a look at the video I made as a souvenir of the reading. Each poet is here. The submission period for the next issue has just opened. You can send 1-3 poems as an attachment to poetrycenter@sussex.edu. Include your contact information on each page. Include a 3-line bio. Send as an attachment. Simultaneous submissions accepted. Deadline is November 15, 2011. Next issue is scheduled for May 2012. 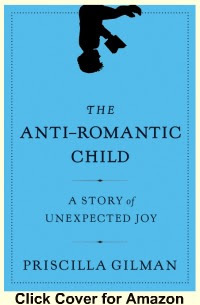 If you're looking for a good memoir for your summer reading, I'd like to recommend The Anti-Romantic Child: A Story of Unexpected Joy. This is a different sort of memoir, different in that it fuses together memoir and poetry. Author Priscilla Gilman seemed to have a very charmed life. She was raised in a home that was rich in culture and opportunities. She was exposed to lots of poetry, especially the work of the Romantic poets. She went to Yale, fell in love, married. Both partners pursued doctoral degrees at Yale, Gilman doing her dissertation on Wordsworth. Her husband was brilliant if somewhat odd. Together, they envisioned a life filled with children and all the joys of family life. Gilman had a vision of childhood fueled by her own childhood and the vision imparted by the poets she loved, i.e., Wordsworth and the other English Romantics. Then came her first child, Benjamin. Initially, he appeared to be astonishingly brilliant. He read early, was a whiz with numbers, and adored music. He spouted poetry. Then around age 3 everything changed and all the signs of Benj's brilliance became signs of something else. While poetry may have given Gilman a false image of childhood, it also sustained her through the years of raising Benj. Inserted throughout this very readable narrative are passages of poems, those lines that seemed to Gilman to say something about her, her life, and her child. If you visit the Amazon page linked above, you'll find a trailer with Gilman talking about her book. There's also an interview which can be opened and read there or downloaded as a pdf. I'm looking forward to participating in this biannual event, now in its second season. 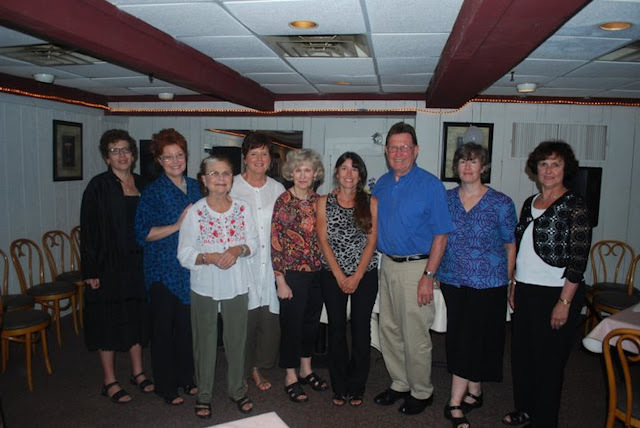 It is run by Paramus librarian, Arlene Sahraie, with lots of help from other employees and volunteers. 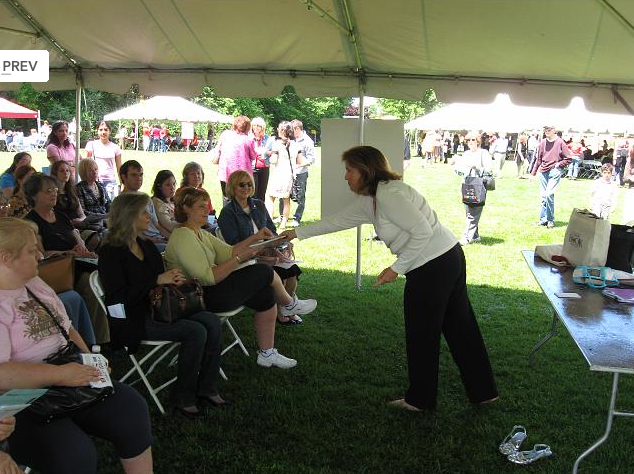 This multi-genre book fair will host more than 100 authors, including Mary Higgins Clark who will be honored during the event. Tents will be set up on the grounds of the library. There will be readings and lots of panels. 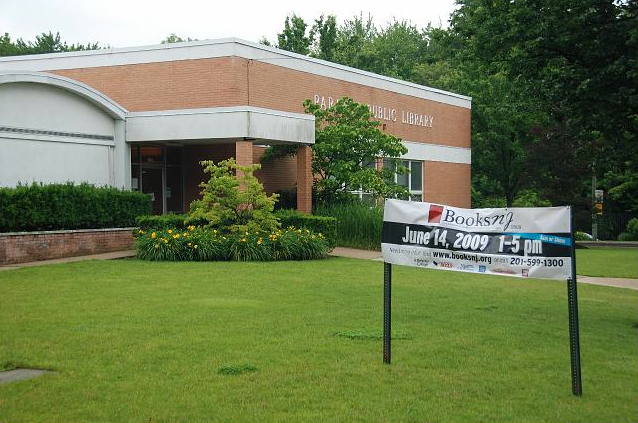 A book tent will be run by Barnes & Noble. 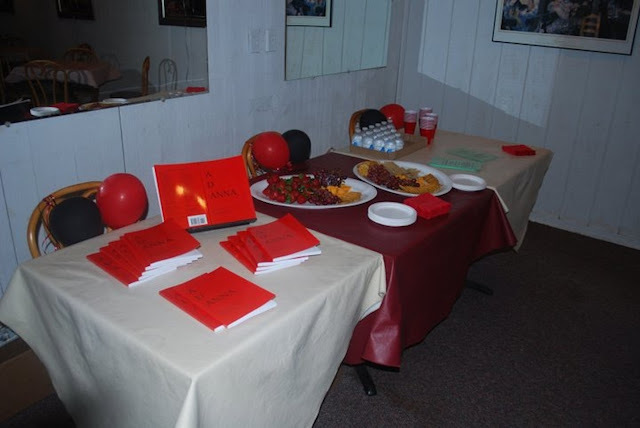 Books by the authors will be available for sale and signing. I will be one of eight poets participating. 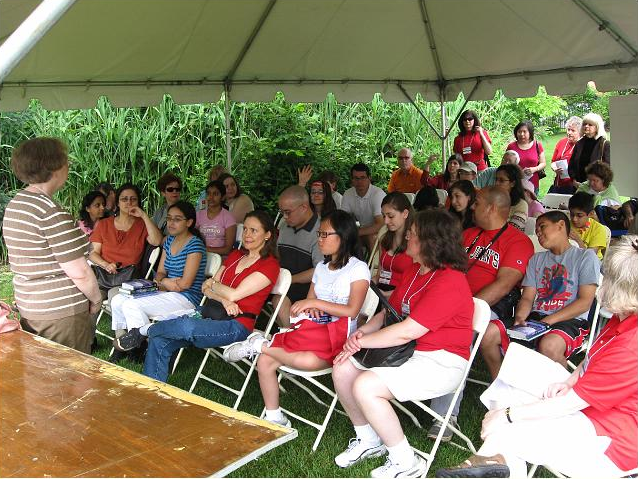 We poets will gather in Tent 7 and participate in a group reading at 1:00. Then we will each be part of one of several poetry panels. Mine is Manuscript Preparation and will take place in Tent 7 at 2:45. Check the website for the Full Schedule and Directions. 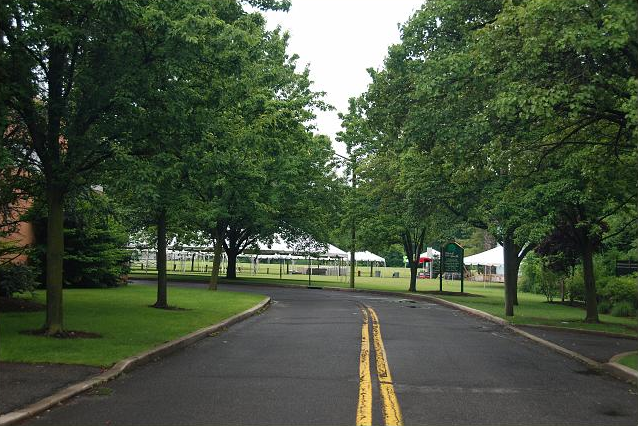 Then please hope for a beautiful day, and if you live anywhere near Paramus, NJ, please join us. 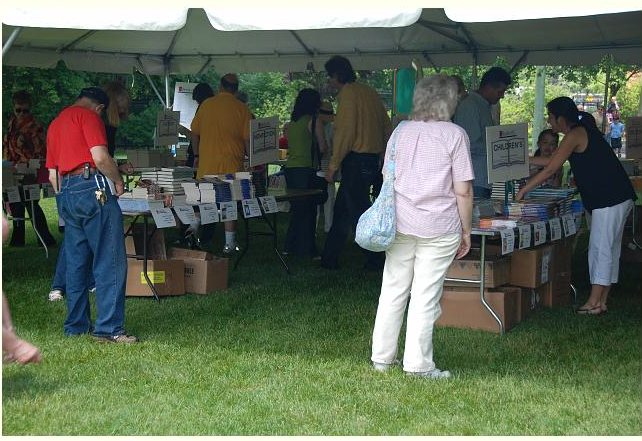 To entice you a bit, here are some photos from the 2009 Books NJ.